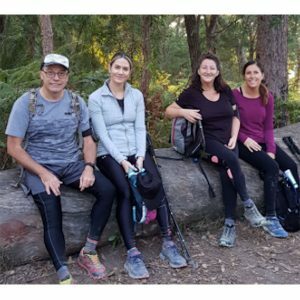 A team of four staff from Gold Coast-based timeshare company, Classic Holidays, is setting their sights on raising $10,000 for the Gold Coast Kokoda Challenge to be held on 14 – 15 July, 2018. The team from Classic Holidays, including Operations staff Phil Johnson, Solange Schuba, Adeline Kissel and Workplaces Support officer, Penny Angus, will tackle the 96km distance of the Kokoda Track through the Gold Coast hinterland within a time limit of 39 hours – but not before they tackle their $10,000 fundraising challenge. Classic Holidays CEO, Ramy Filo, said he was proud of the team’s effort and thanked those who had helped them get to the top of the fundraising chart with $7,750 raised so far.